Inspired by her love of wildflowers, Kazuko Aoki has created a collection of more than 20 projects and over 100 individual cross-stitch motifs. Designs are included for all your floral favorites, such as viola, pansies, poppies, and roses. These motifs are used to create bags, pincushions, pillows, coasters, aprons, tea towels, and wall hangings. 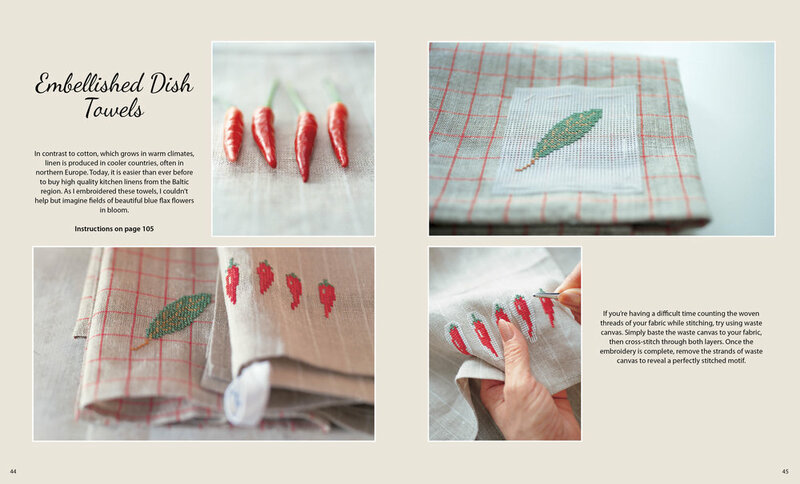 Instructions are presented in counted cross-stitch charts, plus step-by-step diagrams for constructing projects.